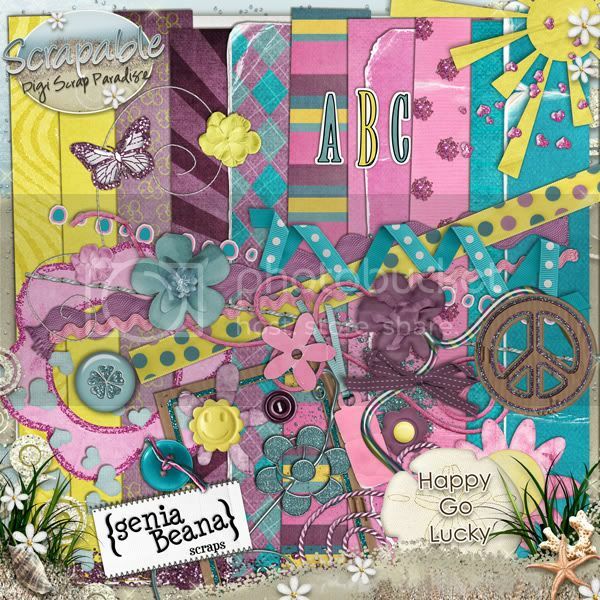 geniaBeana Scraps: Happy Go Lucky! I'm so excited to announce the release of my new kit, Happy Go Lucky. It was inspired by one of my sweet girl's t-shirts. 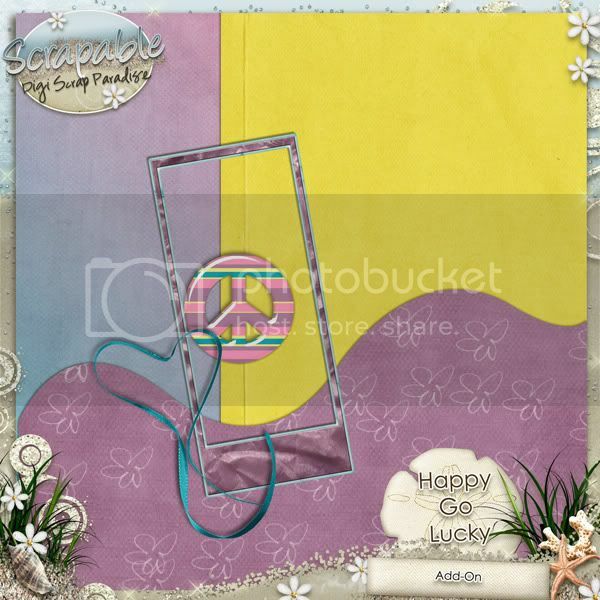 Happy Go Lucky is full of wonderful textures, bright colors, and fun elements. Here are some layouts from my AMAZING CT! They totally rock! I have a little add-on freebie to share, too! If you like the kit be sure to leave me a comment, because I'm going to choose one lucky poster to win the kit! Don't forget to leave me your email address so I can contact you with your prize. I'll be back in a couple days to choose. Check back Friday for more freebies. My CT is putting together a little Happy Go Lucky Blog Train. Thank you so much for this Freebie. I want to let you know that I posted a link to your blog in Creative Busy Hands Scrapbook Freebies Search List, under the Page 13 post on Jul. 30, 2009. Thanks again. Hi Val! I have an award for you on my blog; stop by and pick up anytime at http://janytime.blogspot.com in the July 31st post. Hugs!! Thank you for the add on to this beautiful kit. The colors in the kit are gorgeous. Thank you for the chance to win the full kit. Congrats Julie! Sending you email.